| How big is corruption in Cuba? How big is corruption in Cuba? 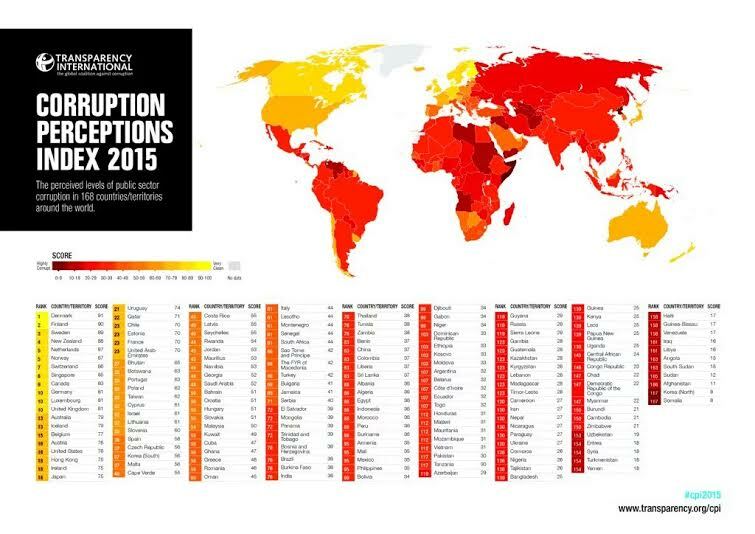 Each year Corruption Perceptions Index (CPI) estimates the abuse of public power in each country. Analysts and businessmen offer their assessments on how they see corruption in the public sector. From expert opinion a score is obtained and compared worldwide. The CPI defines corruption as the abuse of official power for personal gain. The sources do not distinguish between small and large corruption. At the top of the 2015 list were Denmark, Finland, Sweden, New Zealand and the Netherlands. These countries have governance mechanisms in which the public can make leaders accountable for their actions. By contrast, in countries at the bottom of the list prevails bribery and impunity, the institutions do not respond to the needs of citizens. In 2015 the worst scores were for Somalia, North Korea, Afghanistan, Sudan and South Sudan. These scores are averaged to give an overall of 47, with a margin of error of 3.64. Placing Cuba on the world map it gets located in the Rank 56. It is not a surprise, Cuba has remained at those levels in recent years. In 2012 it won 48 points, in 2013 it dropped to 46 and in 2014 repeated the score of 46. However the number of sources who participated in the evaluation of Cuba was low. Countries like Colombia, Denmark, Canada and Uruguay are evaluated by 6 or 7 sources. If corruption is defined as the use of official power for personal gain, there is a high risk for a system in which 80% of the economy is own by the state. This adds to the difficulty of holding accountable a Cuban institution, with the presence of a censored press, only one legal political party, and with no real mechanism to make demands to the government, beyond the picturesque formalities. The CPI does not evaluate corruption but its perception. Problem in Cuba is precisely that we have no perception of corruption! We do not know what happens inside the provincial governments or ministries, or what happens to businesses accounts. There’s no transparency in official statistics nor clear procedures which go beyond mere formality in order to denounce corruption. Neither is there independent investigations. We are just in the dark. But due to the inequality that can be seen on the streets and the increasingly oppressive economic situation, it is easy to deduce that we have a serious problem of corruption in the country. That’s why SOMOS+ is committed to reflect on its accounts the transparency that should have the nation. That’s why we are committed to empowering citizens so that they can demand politicians to be held accountable, for a few not to live out of the efforts of millions of workers.